One of the things that I like most about having a cellular phone is that I can take and personalize it to where it fits to my taste and personality. SkinIt.com has more than just skins, which makes it perfect for me. I like the skins, but I can't keep them attached to my phone. Every time I get one, it always peels off. It's not the fact of the SkinIt, it's just that I'm that hard on them. I do know that I have had a SkinIt on my phone and it's still attached under the case that I have on my phone. The back part managed to stay on, but the part that applies to the front, that part didn't stay. 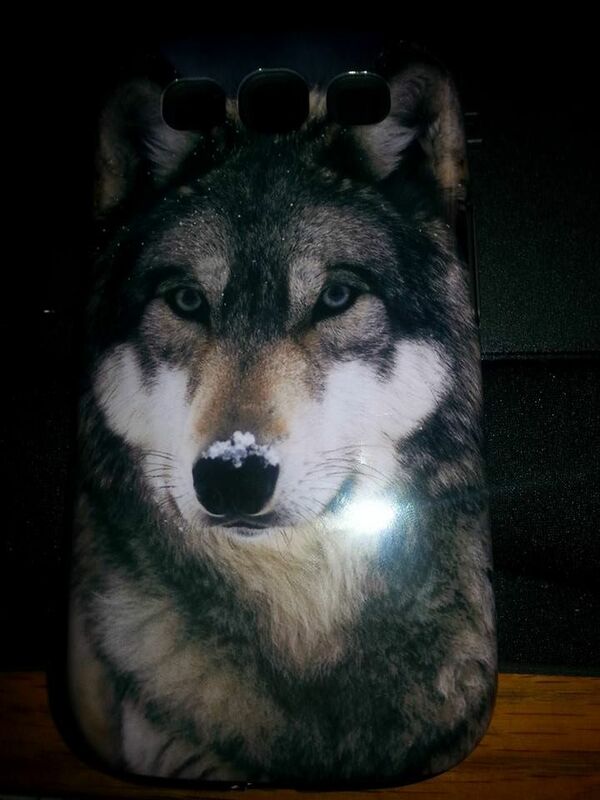 The photo above is the latest addition that I got from SkinIt.com. It's for a Samsung Galaxy S3. It is a snap on case of a wolf, smooth and shiny. This comes with a rubber casing that fits inside of it and the phone goes inside it. That helps to absorb the shock if it's dropped. SkinIt.com has a load of skins and cases for all sorts of cellular phones. From sports and mythology to wildlife and flowers, they have just about anything you can possibly think of. They are all great quality and very sturdy. I received this for free or at a discount, in return for my honest thoughts and review. There has been no other compensation, nor is there any intended. This review is in the guidelines of the FTC.